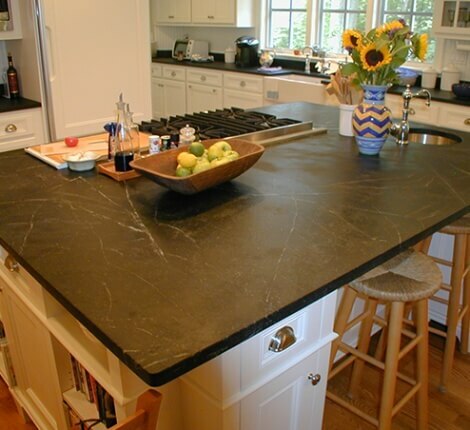 Phil owns the Soapstone Works in Lee, NH which specializes in soapstone and hardwood countertops. Phil started and operated a successful architectural millwork business in the Washington, DC area for many years before deciding to relocate his family back to their New England roots. Then for many years, Phil has concentrated on fine woodworking and cabinetry. His specialty is the result of choosing favored materials after 35 years of creating custom kitchens. 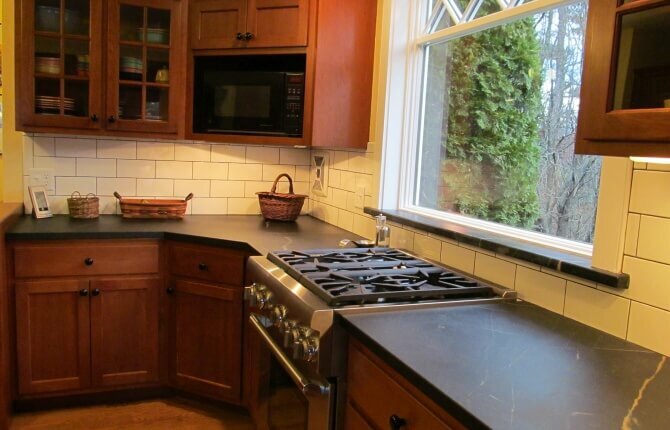 Laminates, tile, solid surfaces, wood and granite are a just a few of them, but he fell in love with soapstone. 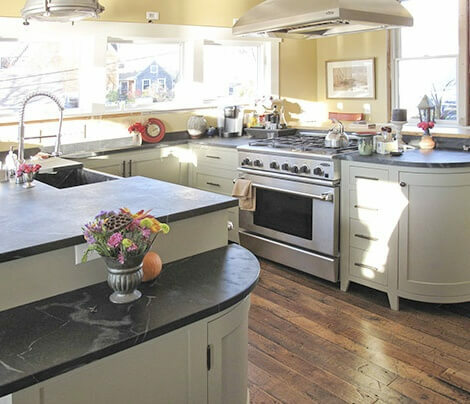 Originally, he thought it might be a nice compliment to his woodwork, but soon found that soapstone and wood counters would become a full time endeavor. Since getting the “soapstone fever” he quickly learned that customers also love soapstone, because it feels so good to the touch, almost like worn leather. 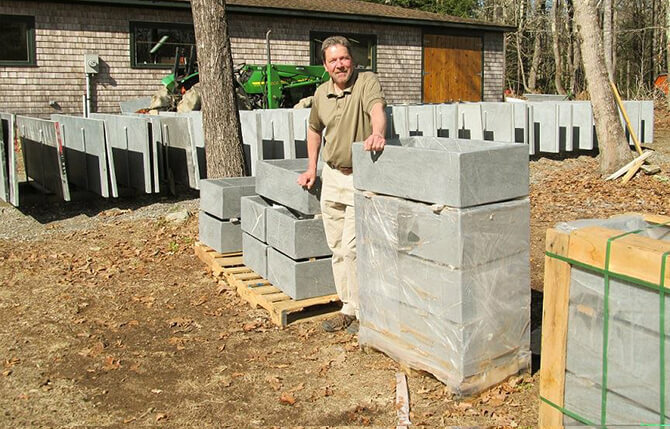 His passion for the properties, feel and functions of soapstone has led to this specialty with great pride.